ZephIR Lidar, a leading wind lidar manufacturer, has announced the expansion of its Engineering and Supply Chain Team as part of a larger strategy to increase production and meet the growing demand for more accurate wind measurements within the wind energy industry. 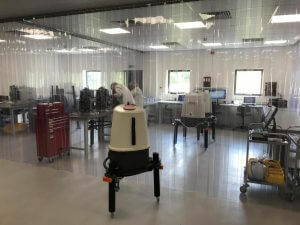 ZephIR Lidar has invested its own resources and has also applied for and received government-backed ‘Innovate UK’ funding in support of expanding the engineering function for production and manufacturing, as well as creating new jobs in the rural location of Ledbury, UK, where the Company is based. Paul Taylor joins as Programme Director, brought into the business to manage a wide range of engineering projects. Paul has worked as Engineering / Technical Director for the past 27 years with various technological Companies such as Bladon Jets Limited, Strix Limited and Bison Bede Limited. Paul’s achievements include receiving a Queen’s Award for Export. In addition, Chris Sheppard joins as Supply Chain Manager, and Michael Butler as Supply Chain Coordinator. ZephIR Lidar delivers award winning, market leading remote wind sensing devices – lidars. ZephIR Lidar has pioneered the commercial application of lidar technology in the wind industry, within the growing renewable energy sector. Visit http://careers.zephirlidar.com to see any jobs available in the Ledbury, Herefordshire area.